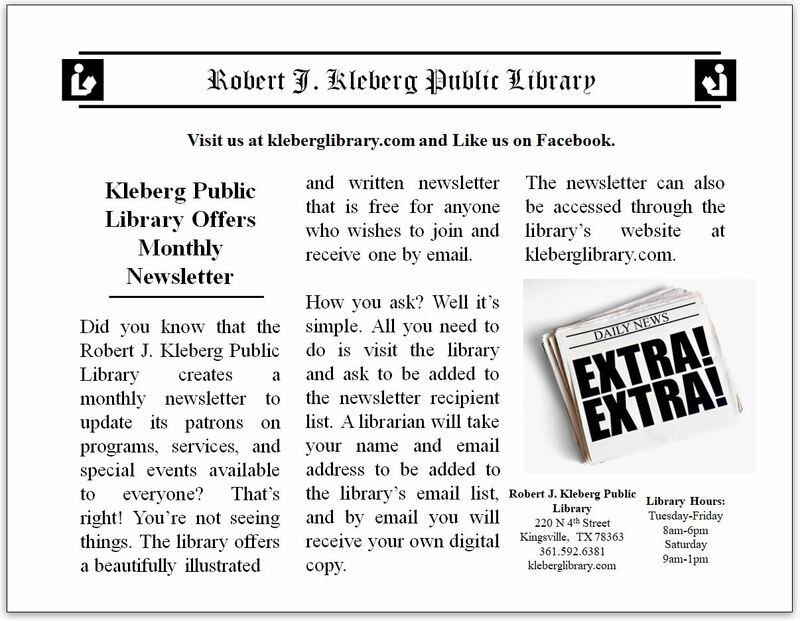 The Academic Outreach programs of the Robert J. Kleberg Public Library are designed to expose school students and faculty members to today’s active library environment, the library's online services and resources that are available to help students excel and succeed in school.and the technology that is offered to support a student’s academic career. Each Academic Outreach program is conducted by a knowledgeable On The Go librarian and is done as an in-classroom or in-school library presentation that lasts approximately 45 – 55 minutes. The presentation, shown in PowerPoint format, is interactive in nature and engages students throu gh a series of question and answer slides and short games that are meant to give insight into our library’s services. School Administrators that are interested in having us speak at a parent conference can also request a library resource presentation. 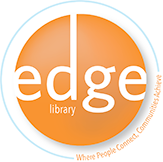 These presentations are conducted by a knowledgeable On The Go librarian and last approximately 25 – 45 minutes. Brochures and flyers regarding our library services are also provided as take-away materials for parents to review at their convenience. **STREAM: A unique approach to teaching that uses science, technology, robotics, engineering, arts, and math to connect the dots for authentic, deep learning. Schools that are hosting student-focused expositions or parent involvement activities, such as seasonal festivals or school carnivals, can also request a library information table for their event. The On The GO bookmobile is also available upon request, and can also be used as a static display that makes for a great backdrop at any event. Library Card Registration Drives can also be scheduled for your next parent-teacher conference or as a stand alone event for your school. 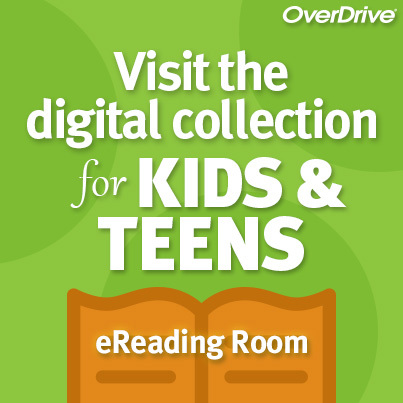 These drives offer the opportunity for students and/or parents, as well as faculty and staff, to apply for a library card, renew an existing library card, "test drive" an online service, or inquiry directly with an On The Go librarian about any of the library services that we offer. If your school is interested in hosting a Library Card Registration Drive, please contact the library's Circulation Services Department for full details. If you are an educator and are interested in scheduling the library for a presentation or event at your school, please contact us at least 1 month prior to the scheduled date of the event. If you are a troop leader for a group of Boy or Girl Scouts, the library can offer to present its Academic Outreach program for students to your group with the option of bringing out the On The Go bookmobile to your location for your troops to see. There is no minimum amount of students or parents that is required to schedule the library to visit your school. Our Outreach Services librarians are prepared and have presented to groups with as little as 10 people and as many as over 300 people. For more information, please contact the library's Outreach Services Librarian at 361-592-6381.